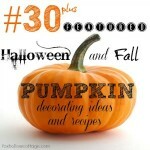 Today, I’m sharing 20 Ways to Make Thanksgiving Extra Special! These are ideas that you can implement to have a more blessed day with your family and friends. 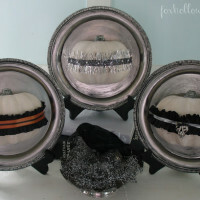 All of them are simple DIY’s that you can do yourself. I hope you find lots of inspiration that will help you, your kids, family & friends appreciate everything just a little bit more this year. I know we all have so very much to be grateful for. 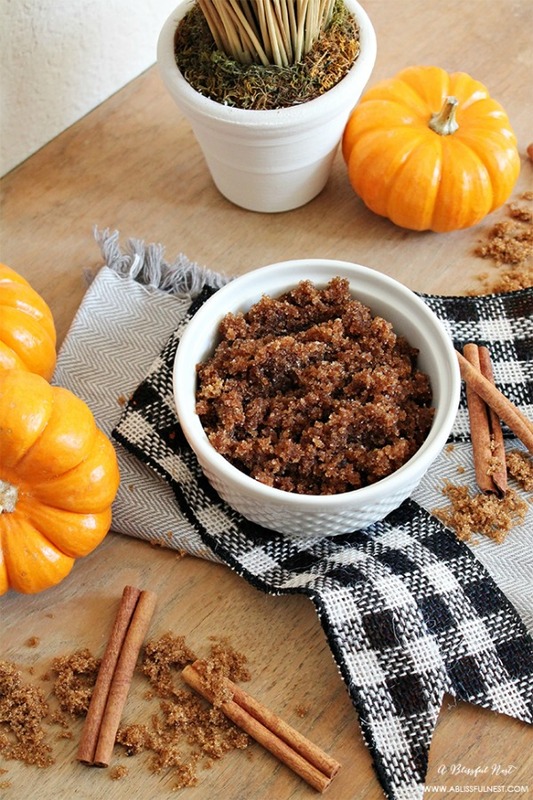 Make this yummy pumpkin spice sugar scrub and present it to your hostess in a mason jar with a cute tag! Or have a bowl sitting by the sink, if you’re hosting the dinner so that everyone can have soft clean hands before you sit down to dinner. 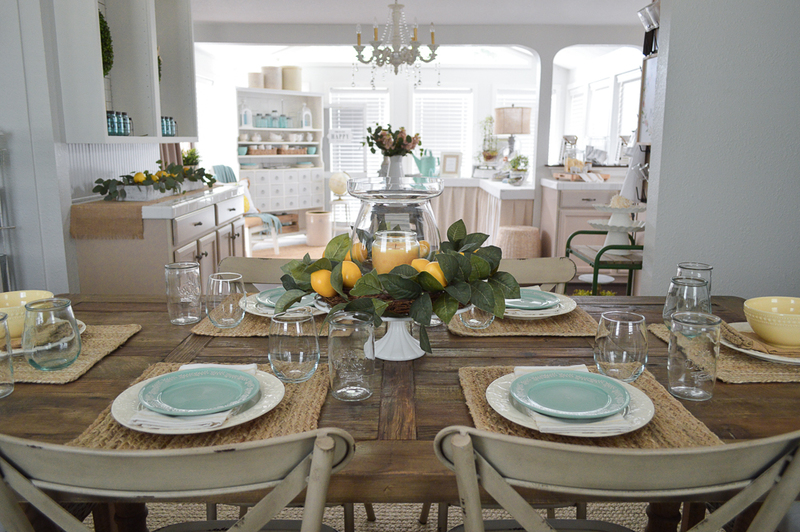 When your guests walk in, have them think you’re baking something amazing in the oven! 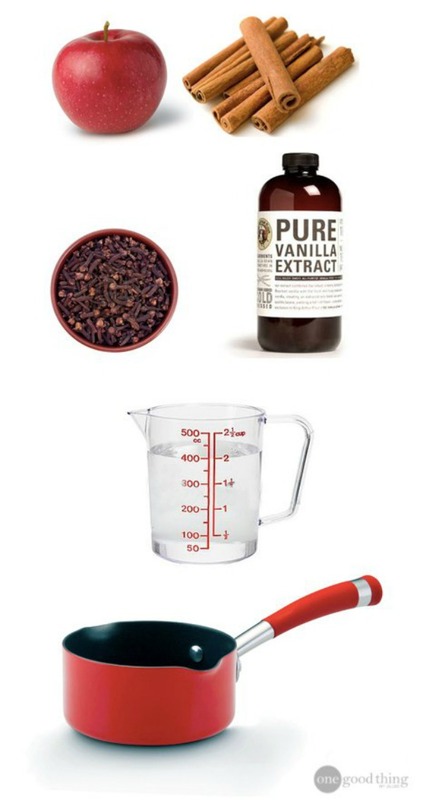 All you need is a pot and these aromatics and you’ll have your house smelling like fall all day! Get in the mood by putting on some music! This playlist is a great one while you’re cooking and having dinner, and no, there are not any Christmas songs on it. 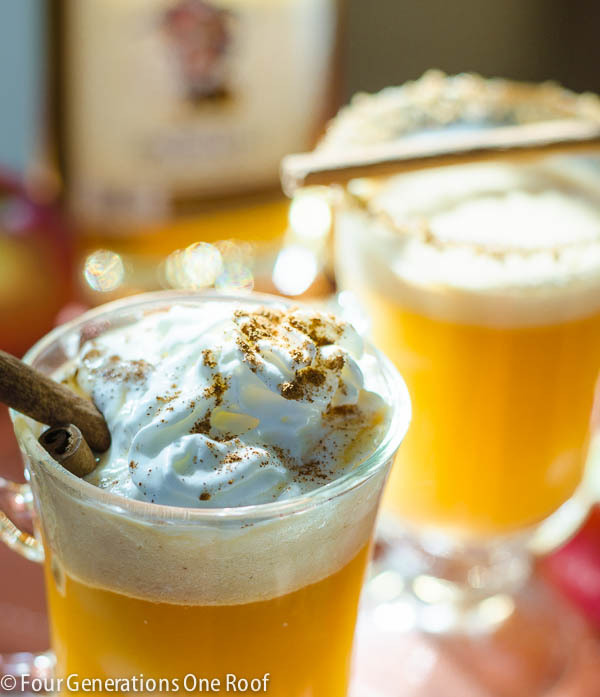 Welcome your guests in from the cold with a warm apple cider. They’re sure to appreciate being warmed up immediately! Nobody likes a cranky pants, so have something out for everyone to snack on until dinner is ready. 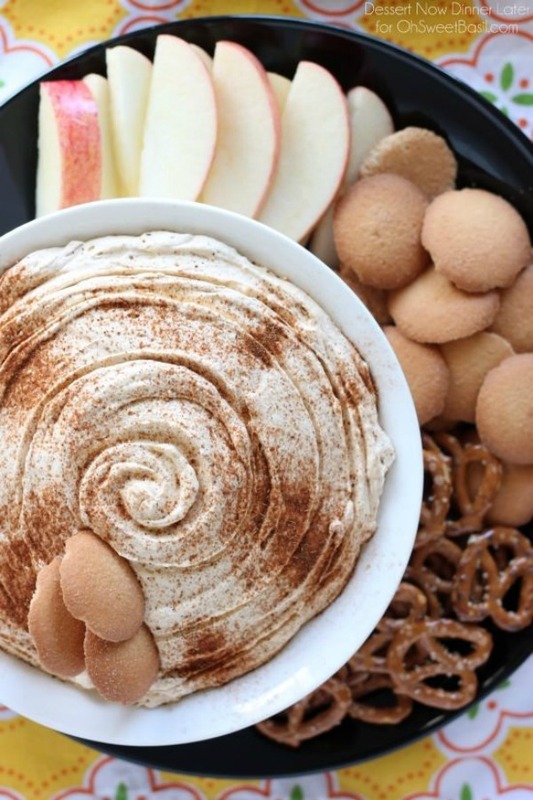 Nothing wrong with a little dessert first before dinner? 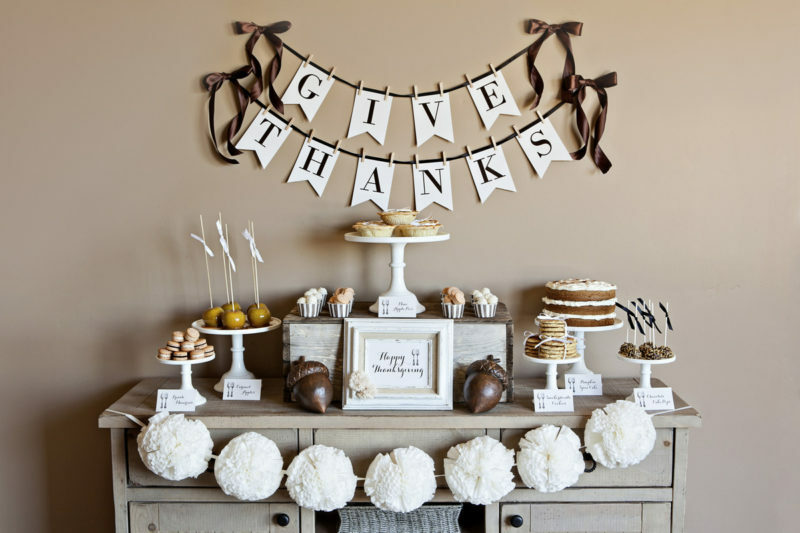 Make this super cute Give Thanks banner to hang in the dining room. The chocolate satin ribbon really adds a luxe touch! Put some branches from your front yard in a large jar and wrap it with twine. 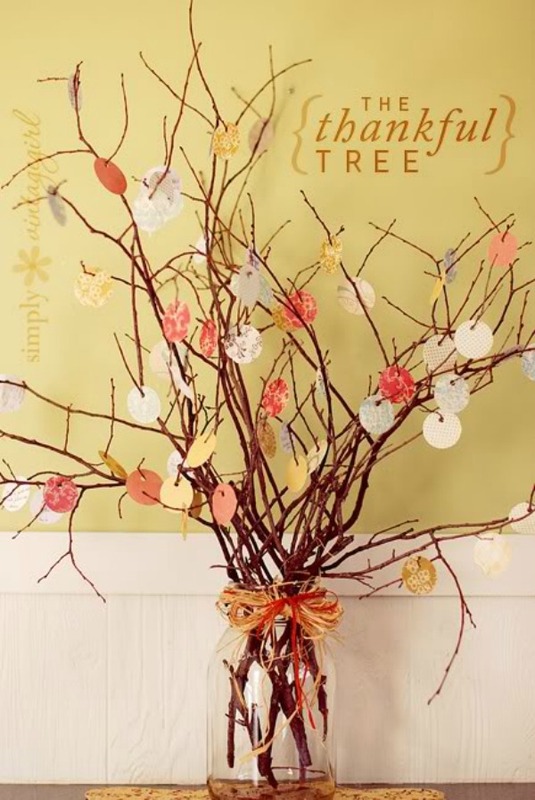 Have your guests write what they are thankful for on little circles or leaves and hang it on the tree. It’ll be a beautiful fall tree when it is done. This is alo another great way to show what you’re thankful for. 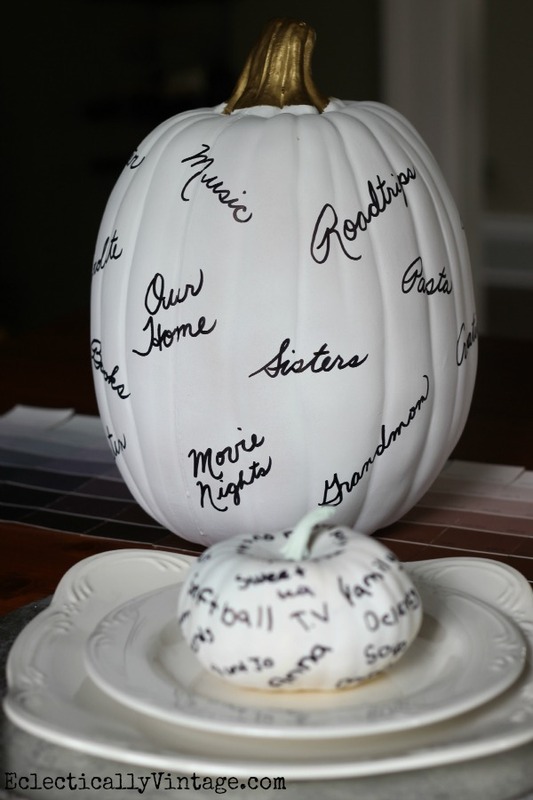 Maybe have a white pumpkin for each person so they can write all the things they are blessed with, and they have a favor to take home and add to their own fall decor. 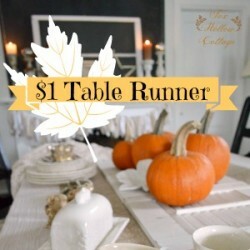 Grab a plain tablecloth and turn it into one that has you feeling grateful all throughout the dinner. 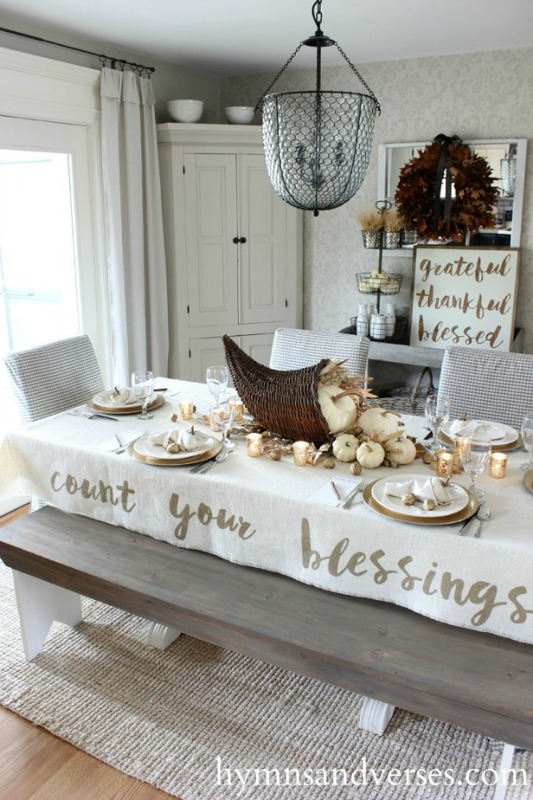 You just need paint and stencils, and you can “count your blessings”. 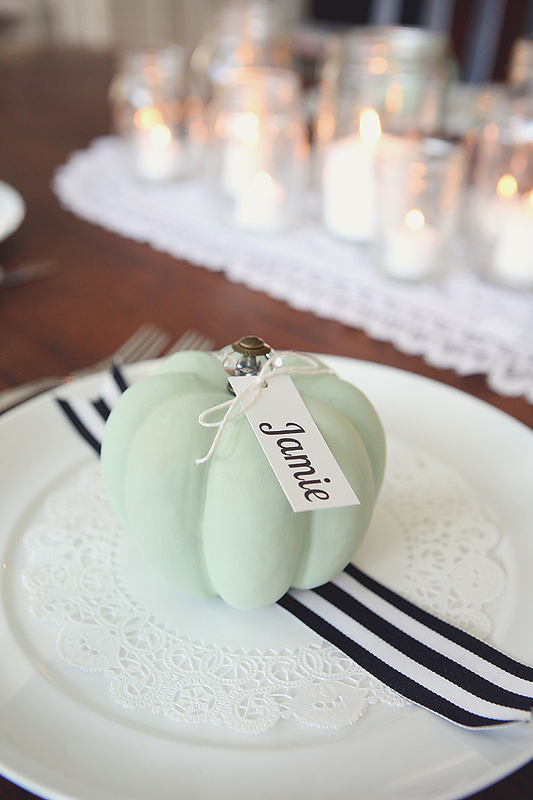 Dress up the buffet area with a piece of brown paper (or even from a brown paper bag)! 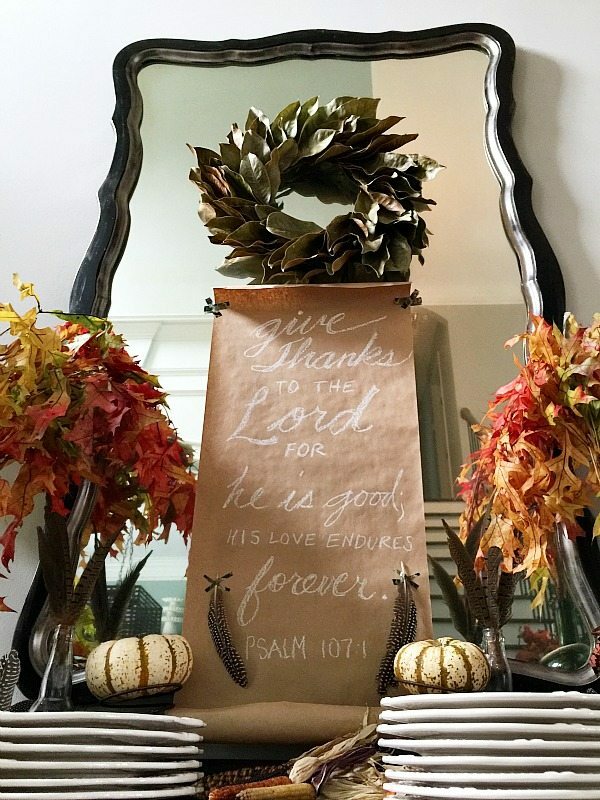 Use chalk to write a verse that applies to Thanksgiving. It is beautiful and reminds us who we should be blessed for in the first place. 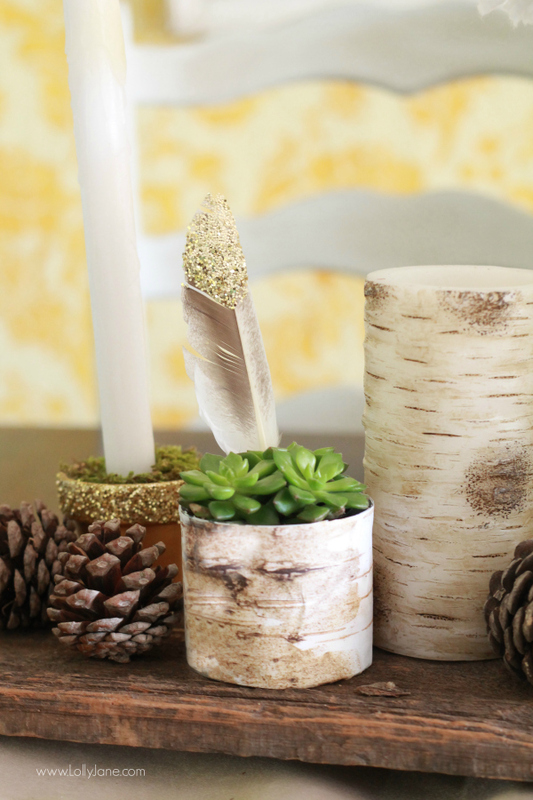 There are some thrifty ways you can make a pretty centerpiece, such as repurposing tin cans with printed birch paper and turning those into succulent planters. 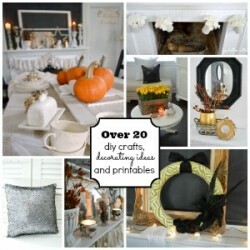 I love the idea of glittered tip feathers here and there, and using mini glittered pots for candles. 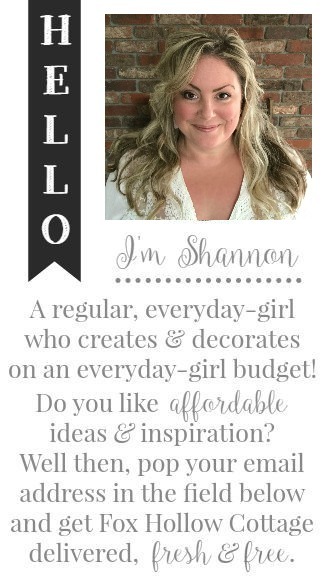 Sometimes a DIY has you feeling more grateful because you are saving pennies. 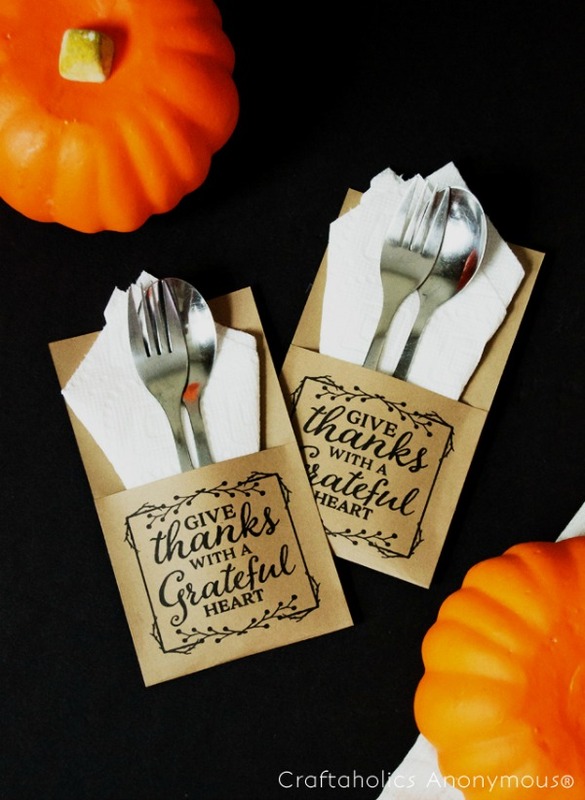 Print these out on heavy weight paper and assemble for the utensils. I know I’ve made too many trips to the kitchen because I forgot something. 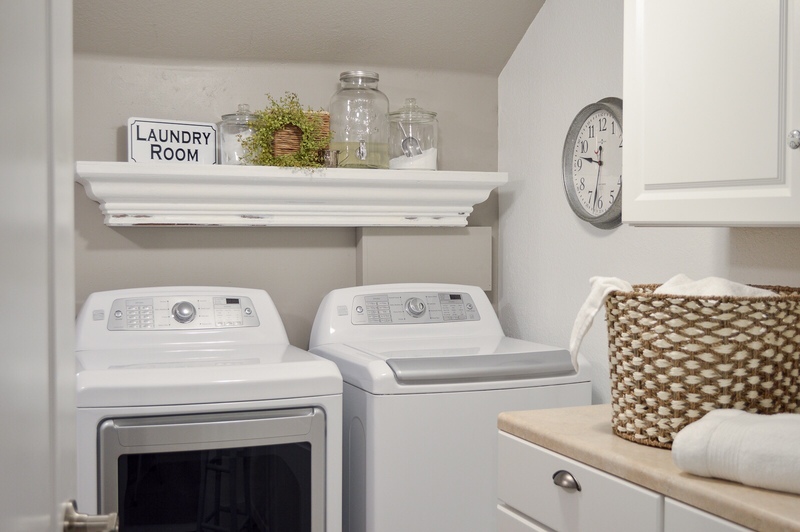 Your guests will appreciate the thought and effort to make things smoother during the serving process. 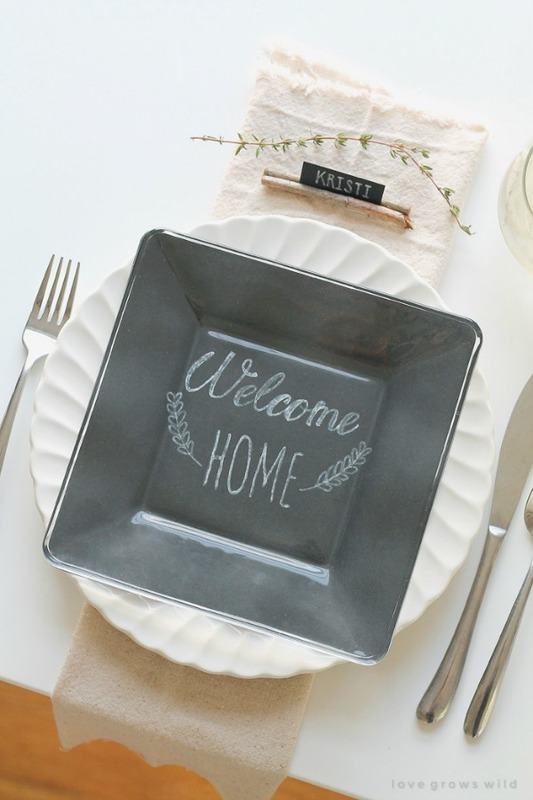 You can adhere a piece of black paper underneath a glass plate with a personal message. 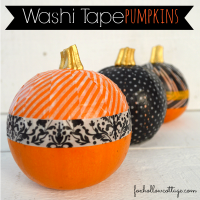 It dresses up the plain plates and gives it a fun touch. 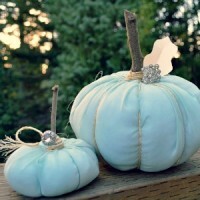 I love the little crystal knobs on these painted pumpkins. 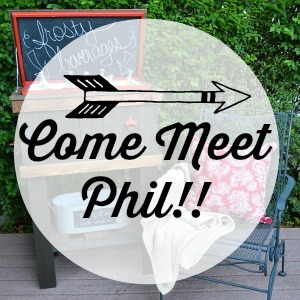 Print off each guests’ name and tie it to that knob with simple string. 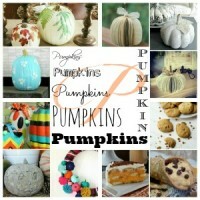 They can take that pumpkin home with them as a sweet reminder of a great dinner with family and friends. 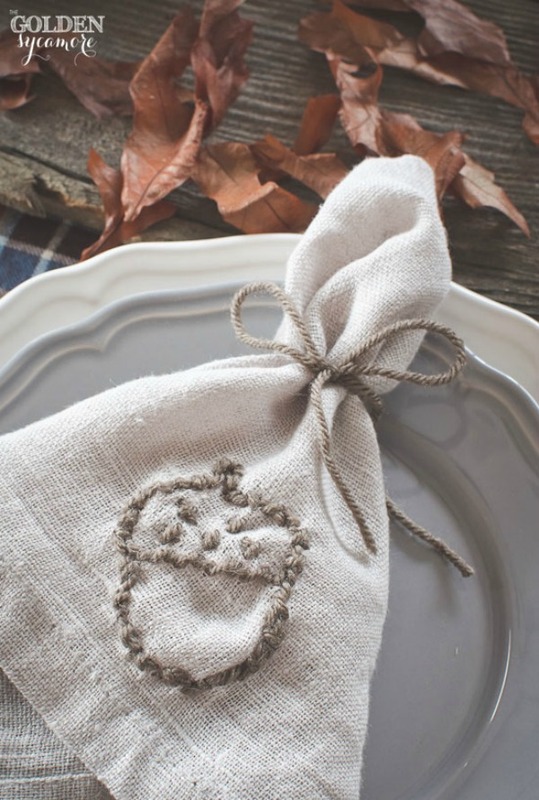 Take a little bit of time and embroider some fall designs on your linen napkins. It adds a great touch and looks beautiful. 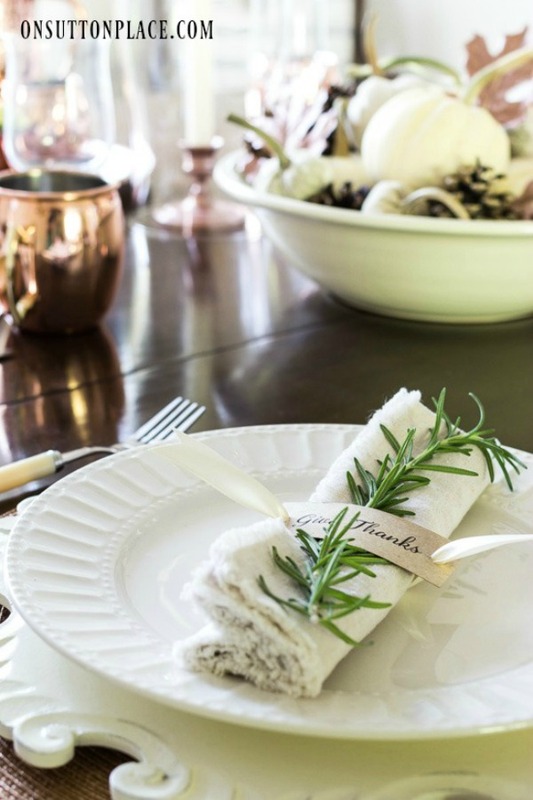 Print off some napkin rings and wrap them around your fall embroidered napkins. A sprig of rosemary looks great, but so would a leaf from your own yard! 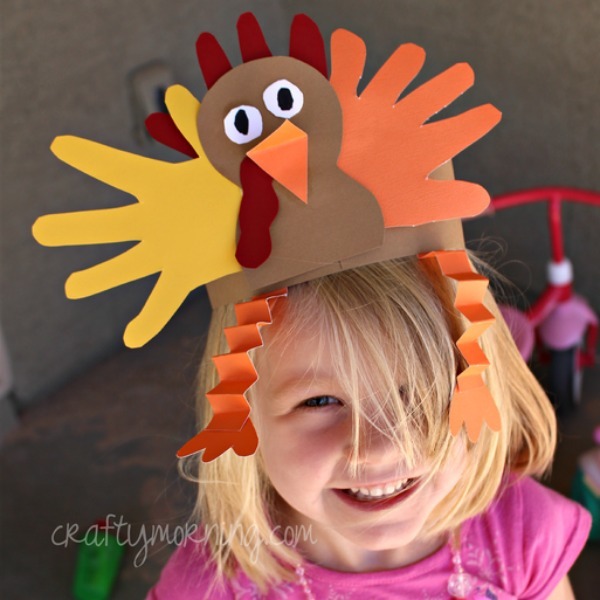 Get the kids ready for Thanksgiving too. Make them feel like a big part of the whole process. 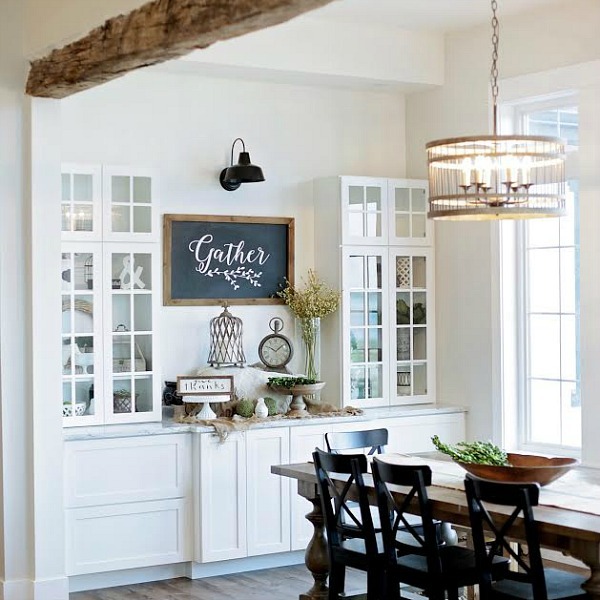 There’s so many things you can have them do – let them help you clean house, mix a recipe, or even do crafts to decorate the house for the guests. And be sure you thank them for all their amazing work. 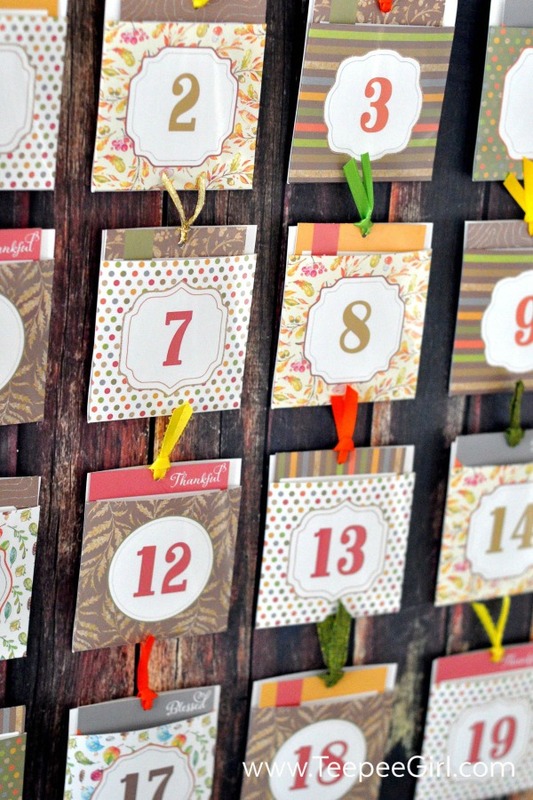 I love the idea of an advent calendar for Thanksgiving. Each day in November, have the kids (and adults!) write down one thing they are thankful for and slide it in that pocket. On Thanksgiving Day, get together as a family and read all the cards. The family will learn more about being grateful and blessed during this month. 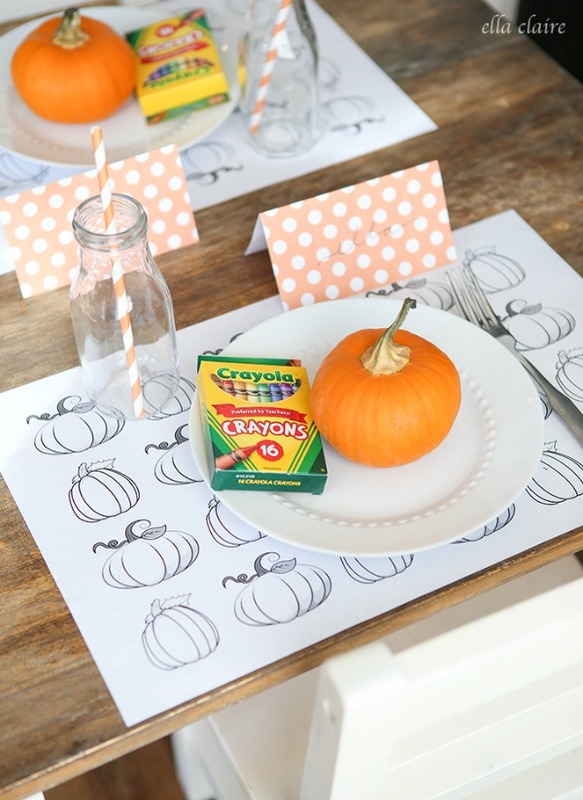 Set up the kids table in a way you would the adults’ table- with place mats that they can color on, a plate, their own individual pumpkin, crayons, and a place card! The kids always want to feel ‘grown up’ just like the adults. 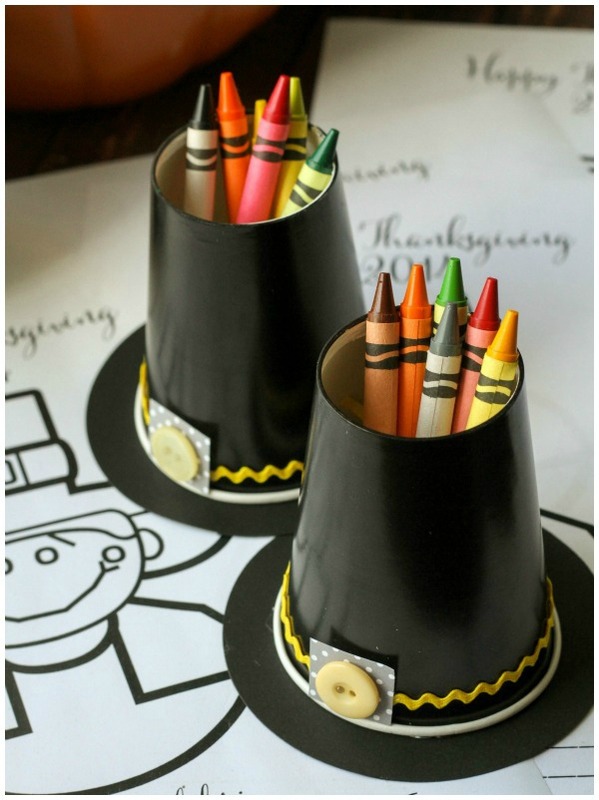 If they get bored with their coloring… have them do a cute craft! 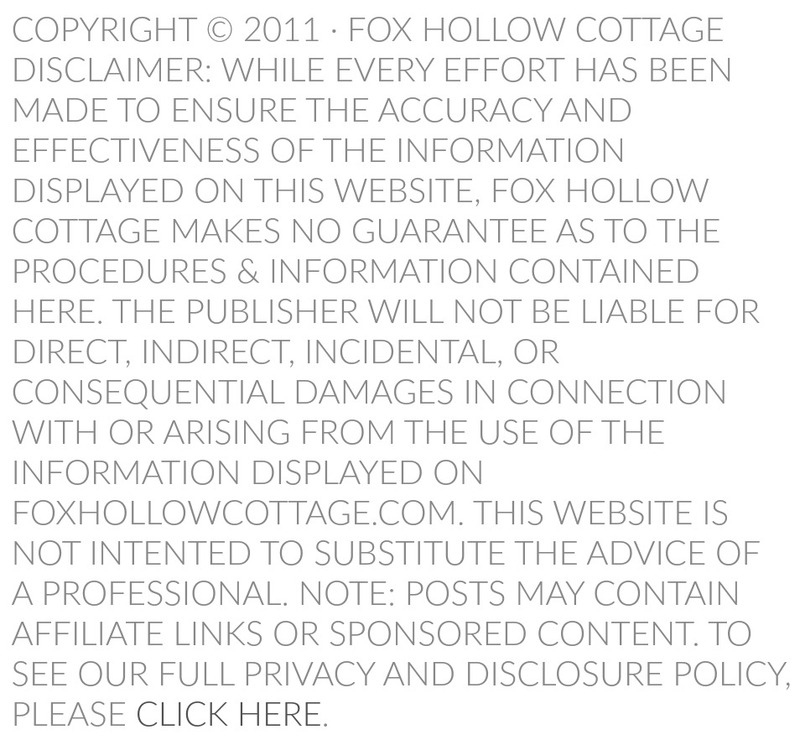 This one will have everybody giggling when they’re done. Isn’t that what being with your family and friends are all about, sharing laughs and good times? What other ways would you, or do you make Thanksgiving special? 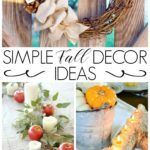 I hope that some of these 20 Ways to Make Thanksgiving Special has inspired you to start new traditions! It’s so nice to have them to look back on, as well as pass on to the younger generation, to keep the holidays rich with beautiful memories! What are your Thanksgiving traditions? 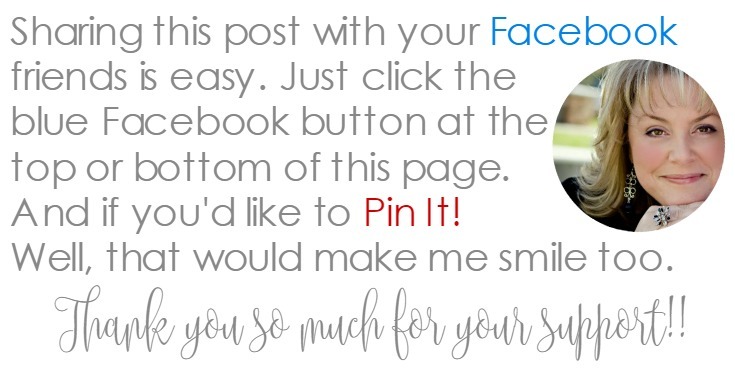 I’d love for you to share them with me in the comments. Great features I love everything. Loved all the ideas. Thanks so much. 20 Ways to Make Thanksgiving Extra Special - Make it personal, prepare ahead of time, and love the day with your family and friends!